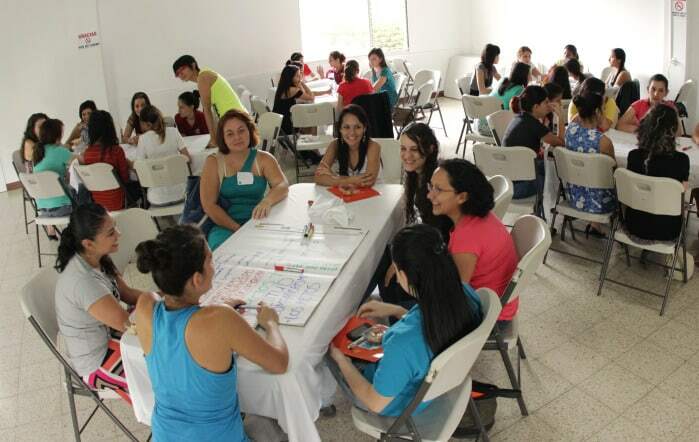 An upcoming hackathon for women in San Carlos, in north-central Costa Rica, is seeking bright minds to help develop new technology applications to address social problems, and at the same time foster better training and more tech jobs for women. The intensive two-day hackathon, organized by the Sulá Batsú Collective, will take place August 30-31 at the Costa Rica Institute of Technology (TEC) campus in Santa Clara, San Carlos, from 10 a.m. on Saturday to 3 p.m. on Sunday. Participants will receive training from tech mentors from the information and communications technology sector, or TIC. Kemly Camacho, coordinator of both the Sulá Batsú Cooperative and the “TIC-as Project,” told The Tico Times that participants are invited to create apps to alert the public to flooding and other natural disasters, foster public security, help market local products, and other problem-solving ideas. Members of the cooperate already have visited with Northern Zone organizations to study ongoing social problems and interview employees of local fire departments, the National Institute for Women, the Ciudad Quesada municipality and development associations. The hackathon is open to all women who are students or graduates of information and communications technology in the Northern Zone, which includes Upala, Los Chiles, Santa Clara and Ciudad Quesada. Registration is open through July 19. The hackathon is part of the cooperative’s “TIC-as Project,” which aims to provide incentives and promote better conditions for women to participate in the TIC sector. TIC-as is supported by the U.N.’s Fund for Gender Equality, and it targets young, rural women in the region. Camacho said Costa Rica’s Northern Zone was selected because opportunities in the tech sector usually only are found in the San José metropolitan area, and they’re usually focused on men. Therefore, the cooperative sought to develop a pilot project that targets rural women. But they had to select the ideal rural community for their goals, and the Northern Zone fit the bill. According to Camacho, several universities in the region offer tech programs, including the Catholic University, the State University at a Distance, the National Technical University, TEC and Cenfotec University. Vera Gamboa, 53, is one of the few women who graduated from San Carlos’ TEC campus with a degree in informatics engineering, although she began her studies in 1978 in Cartago. In 1980, Gamboa married and returned to San Carlos, where she raised four children. In 1994, she returned to the classroom at TEC in San Carlos and earned a bachelor’s degree. She currently teaches computer engineering at the same school. 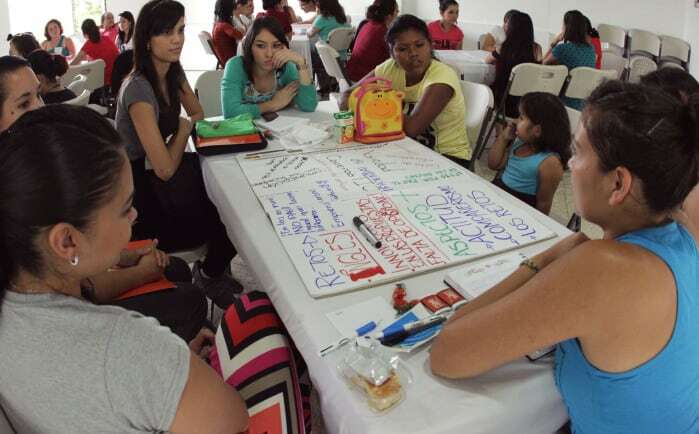 Members of the TIC-as Project are working with 10 schools in communities near the TEC campus in Santa Clara. One goal is to eliminate the stereotypes that steer young women away from technology jobs. 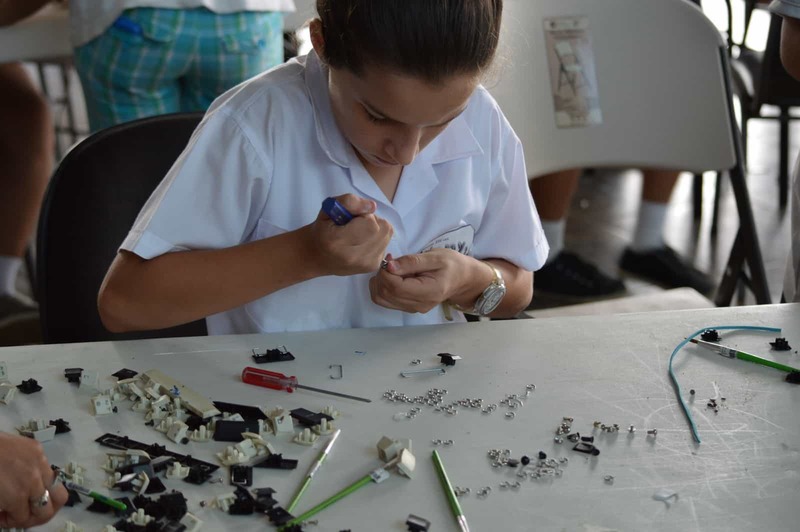 “We think it’s important to provide incentives to girls from a young age so that they experiment with, explore and get used to technology – not only digital technology, but anything from a screwdriver to a hammer to a wrench. From there, it’s important to eliminate the stereotypes that linger in these communities,” Camacho said. Project members have noted that there are certain stages in a young woman’s life when she stops being interested in technology, and some believe this is due to social influences and ongoing stereotypes. In San Carlos, TIC-as has been working for more than a year with 70 high school and college students and teachers, and others who work in both the public and private sectors. Organizers hope that after the upcoming hackathon, participants will continue developing their own projects, and the initiative will serve as an incubator for more entrepreneurial leadership by women. According to Gamboa, many opportunities exist for women who study information and communications technology, because the Northern Zone is home to several software development companies created by TEC teachers, including Avantica San Carlos and NCQ Solutions, among others. Hackathon participants can be “any woman who lives in, was born in, or who has a relation to the Northern Zone. We’re pushing for a mix of high school and college students,” Camacho said. Prizes will be awarded to first-, second- and third-place entries, as well as a people’s choice award for best prototype. To register or obtain more information, visit: www.sulabatsu.com or email info@ticas.com. See their Facebook page at: https://www.facebook.com/sulabatsucr.